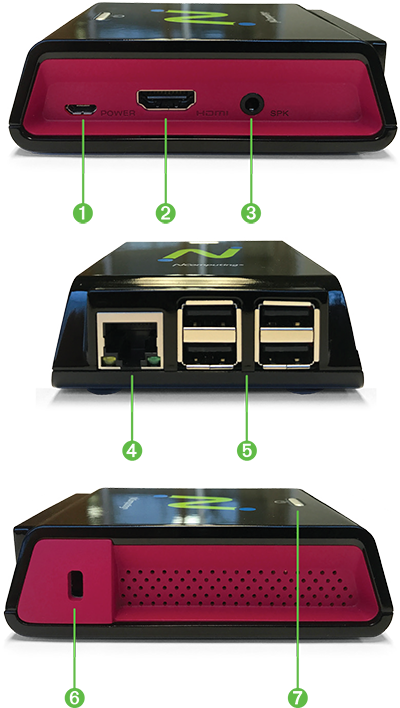 NComputing has delivered more than 3 million low-cost thin clients worldwide. Our latest, the RX300, is built for productivity using the latest Raspberry Pi 3 platform. Designed and optimized specifically for NComputing’s award-winning vSpace Pro desktop virtualization solution, the RX300 is cloud-ready and provides a rich PC-like experience. RX300 features full-screen, full-motion HD multimedia playback with vCAST direct streaming technology support, built-in transparent USB redirection achieving unparalleled peripheral support, WiFi, and optional access to Linux Raspbian OS managed by the IT admin. The RX300 provides a simple-to-deploy, centrally managed, high-performance virtual desktop, perfect for use in SMB and education. Fully optimized for vSpace Pro 10, RX300 delivers virtual desktops from 9 popular Windows operating systems, including Windows 10 and Windows Server 2016.
vCAST reduces the overall server-side CPU usage when watching web videos like YouTube or your local media content without the need for expensive GPUs. This allows for higher quality media streaming utilizing network bandwidth without CPU bottlenecks, thereby supporting more concurrent users. The RX300 is easy to configure and automatically receives updates from deployed vSpace Pro 10 servers. Administrators may define a device template with all settings and configurations, then clone and push it to new devices. All can be centrally managed and provisioned by the IT admin with vSpace Pro, allowing control of hundreds of RX300 devices with just a few clicks. Users are always up-to-date with the latest technology. With integrated transparent USB redirection, RX300 utilizes device drivers from the server side to provide extensive peripheral support including mass storage, printers, scanners, card readers, headsets or speakers, webcams, and COM ports in addition to the standard keyboard and mouse. With secondary display capability via NComputing's USB dongle (VGA or DVI) there is added screen real-estate for increased productivity. RX300 comes with built-in 10/100 Ethernet and Wi-Fi (802.11 b/g/n). Organizations are no longer bound to the wiring infrastructure and can deploy RX300 in any location with Wi-Fi access to deliver the desktop experience. 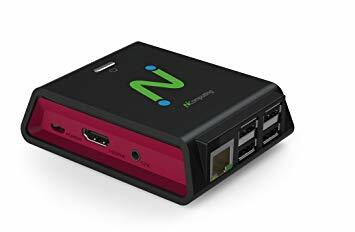 RX300 comes equipped with both a ‘Thin Client Mode’ and ‘Raspbian Linux Mode.’ Use the RX300 as a locked down thin client with connections to vSpace Pro 10 and Verde VDI, or as a Raspberry Pi 3 device allowing direct access to Raspbian Linux OS and its popular games (Minecraft), how-to-code applications (Scratch, Python and Java) and productivity tools. RX300 offers the lowest initial cost among our thin client families. 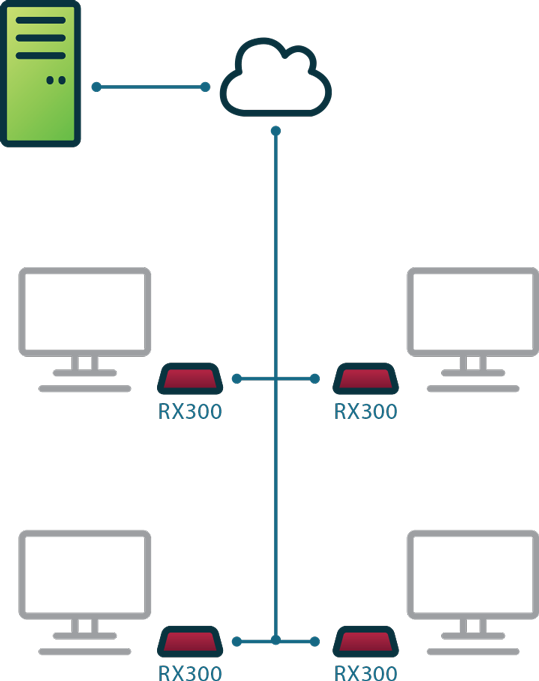 RX300 comes with a 1-year or 3-year software connection license** to vSpace Pro 10 desktop virtualization software, and a 6-month trial of vCAST streaming technology, Dual Display and other premium features. Software connection license renewal for vSpace Pro 10 is required for subsequent year(s).